Spitta rolls through the city and drops some rhymes for HipHopDX's "16 Bars" series, directed by Court Dunn. Welcome to the brand new official Curren$y website! Become a member to stay up on all the latest music, videos, tour dates and more! Right now you can hear the new song "She Don't Want A Man" and check the Weekend at Burnie's track list on the Music page. Read more about Welcome to CurrenSySpitta.com! Welcome to the brand new, official Curren$y website! Become a member now to stay up on all the latest music from the upcoming album, videos, tour dates and more! Check the Music page to see the Weekend at Burnie's track list and hear the new joint "She Don't Want A Man"! The Jet Life Tour hit NYC on Monday (6/6) and shut it down at the Irving Plaza! Check out all the photos from the sold out show on the Time Out New York Blog and catch a complete review of the concert on the VillageVoice.com. Stay tuned for exclusive footage from the show coming soon! 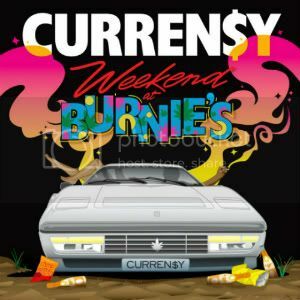 Pre-order Weekend At Burnie's on iTunes to get the album as soon as it drops June 28th!